customers up to 250% bonus airtime on every recharge of N100 and above and 150% bonus airtime on every recharge below N100. If you are an MTN customer that like to make calls regularly then you should consider migrating to MTN Beta Talk. 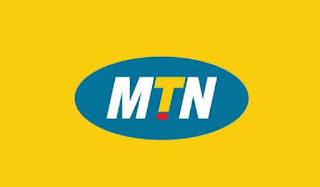 This post contains information about MTN Beta Talk such as the call rate of MTN beta talk,migration/subscription codes,data plan,how to opt out out / cancel MTN beta talk,check bonus etc. How To Migrate To MTN Beta Talk? You will not be charged N100 Naira if this your first time of migrating to this plan in 30 days. Subsequent migrations within the same month will attract a migration fee of N100 only. MTN Postpaid customers are not eligible to migrate to the MTN BetaTalk tariff plan. MTN Beta Talk Call Rate? When you migrate to MTN BetaTalk, your calls will be charged at the rate of N25.20/minute (42k/sec) from your main account and N27/minute (45k/sec) from your bonus account. This is however for national or local calls within Nigeria. All calls,data or sms will be charged from your main account as soon as the bonus airtime is finished or expires. International calls will be charged from your main account at the normal international rate. How To Check MTN Beta Talk Bonus Balance? Customers can check their MTN talk bonus balance and main balance by dialing *556#. MTN Beta Talk Recharge Code For 150% & 250% Bonus? you will not receive your bonus recharge,account recharge of less than N100 will attract a 150% bonus airtime,while every recharge of N100 and above will attract a 250% bonus airtime. Also note that you won't be able to send airtime to your family and friends via share and sell when you migrate to MTN BetaTalk. How To Cancel/Opt Out Of MTN Beta Talk? If you want to cancel or opt out of MTN beta talk simply send stop to 131.